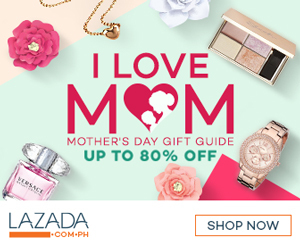 If you’re avid reader of this blog then you know that we love to eat (although I forgot to write about some restaurants na natry na namin), whether I cooked or dine in a restaurant. Kaya nga siguro tumataba ulit ako kasi if we have EXTRA money, we make sure to splurge it in FOOD. Well sino ba naman ang hindi mahilig kumain db? 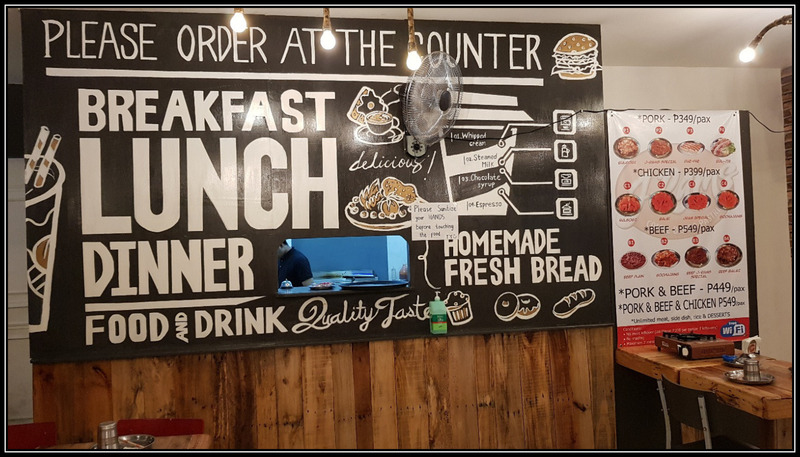 So when we moved-in somewhere in south my husband decided to try some restaurants nearby especially in Aguirre Street in BF Parañaque which is one of the well-known food spot in in the metro. Yes! Ang dami pala talaga ditong makakainan na di pa namin natr-try and I’m so excited to share with you the first 2 restaurants we tried here. 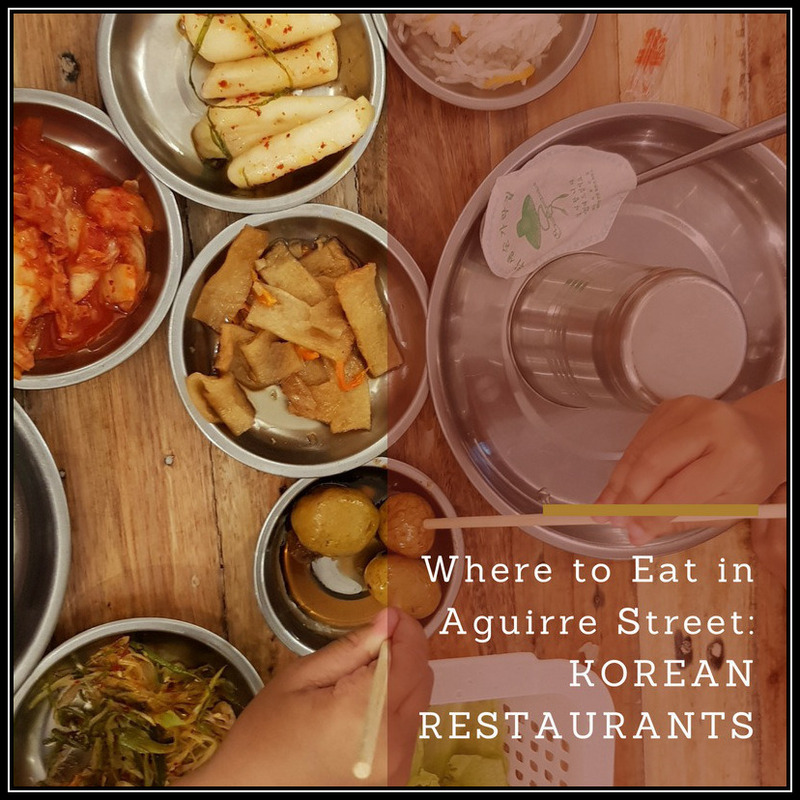 Aguirre street in BF Parañaque is one of the well known food spot in the metro but this place is also well known as one of the Korean town in Metro Manila. When you pass by the area for sure you’ll see left and right a Korean restaurant or grocery. My aunt celebrated her birthday last April 16 at J-Rams Coffee Bistro located inside BF Homes Parañaque. 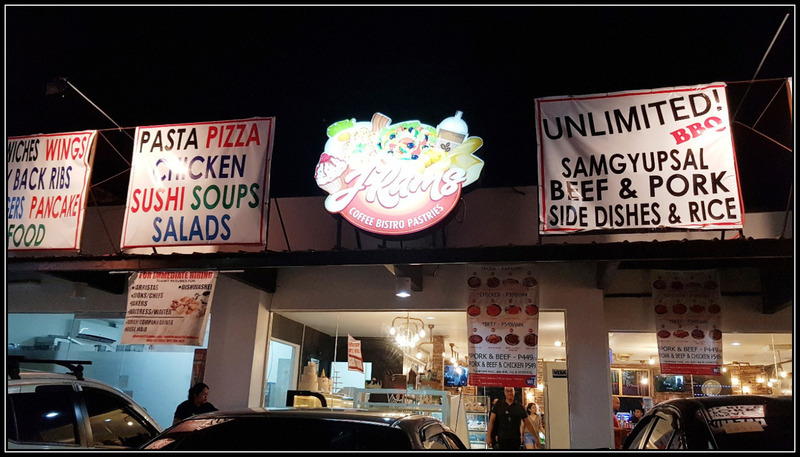 We initially plan to try Sing Sing Restaurant since according to the reviews, this is one of the “must-try” restaurants in Aguirre Street but unfortunately it was jam-packed when we arrived so my husband decided to try J-Rams which is just across Sing Sing Restaurant. As soon as we entered the place, the spacious interior welcomed us. I love the sophisticated vibe with black and white walls and modern lighting fixtures they have. 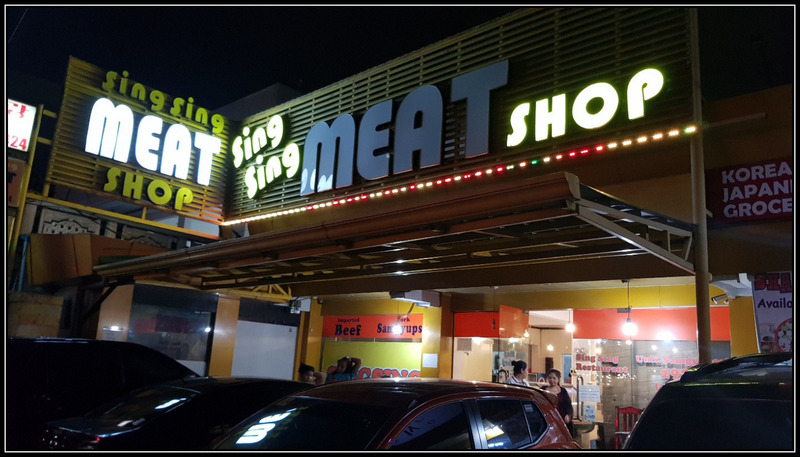 This restaurant offers varied menu from unlimited pork, unlimited beef, combination and unlimited crabs. Actually it gives us a hard time choosing what to order as everything comes out of their kitchen smells so delicious. 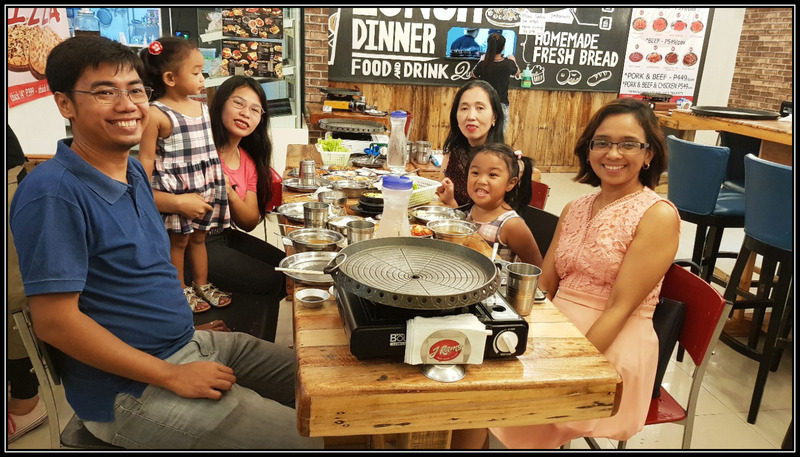 But since my husband loves Korean BBQ, he chose to try their unlimited Korean Pork BBQ for Php 349.00 per person which comes with complete unlimited pork with difference marinades every plate, side dishes, rice, lettuce and soup. As soon as we get seated, the staff served the side dishes, sauces, soup, service water and egg side dish. 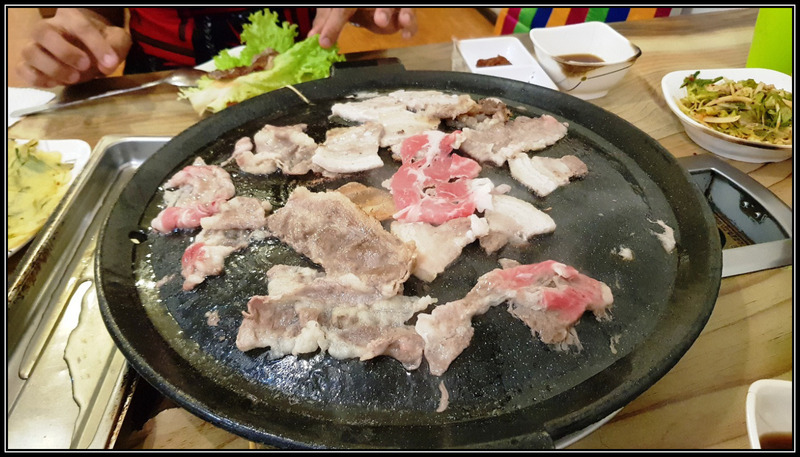 The meats are tasty but I really enjoyed the flavorful marinated meats, it’s a sweet barbeque flavored charcoal grilled meat which according to them, it’s their best seller. Service is excellent. I love how they are prompt with the refills. They even offer us na sila nalang ang magluto since we have two kiddos who are so kulit and since we told them that we are celebrating my auntie’s birthday, they sing a happy birthday song for her with free mini cake. Good Job! 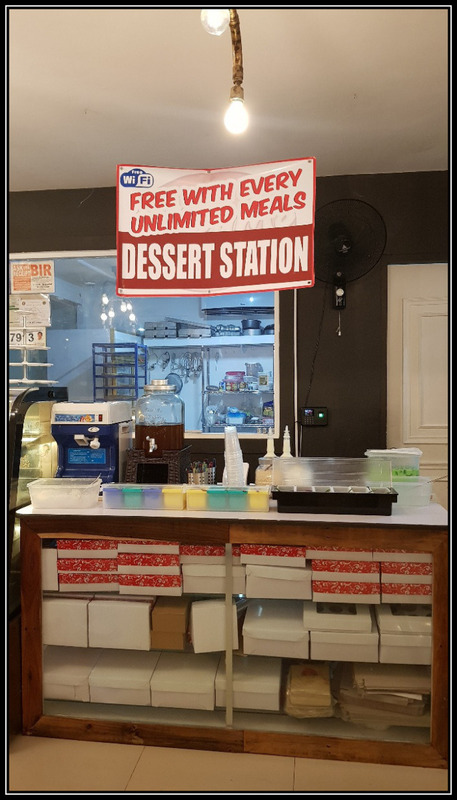 You can have access to their unlimited dessert such as halo-halo and buco pandan once you ordered for unlimited meals. Wow! 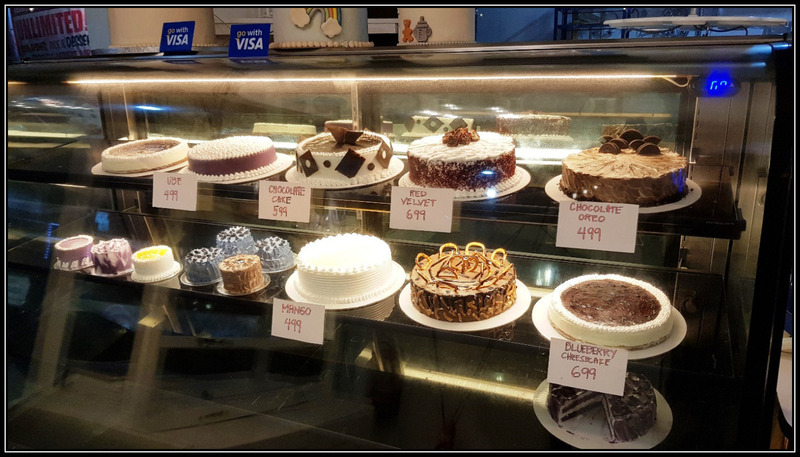 This coffee bistro also offers extensive choices of food like sandwiches, burgers, cakes, pizza and pasta. They also offer all day breakfast at very affordable price and coffee and frappes too. By the way, you can choose either unlimited pork for Php 349/person, unlimited chicken for Php 399/person, unlimited beef for Php 549/person, unlimited pork and beef for Php 449/person or unlimited pork and chicken for Php 549.00. I love all the meats they offer however the down side of this restaurant is that they don’t have any exhaust so you will leave the place smelling like a Korean meat. Haha. 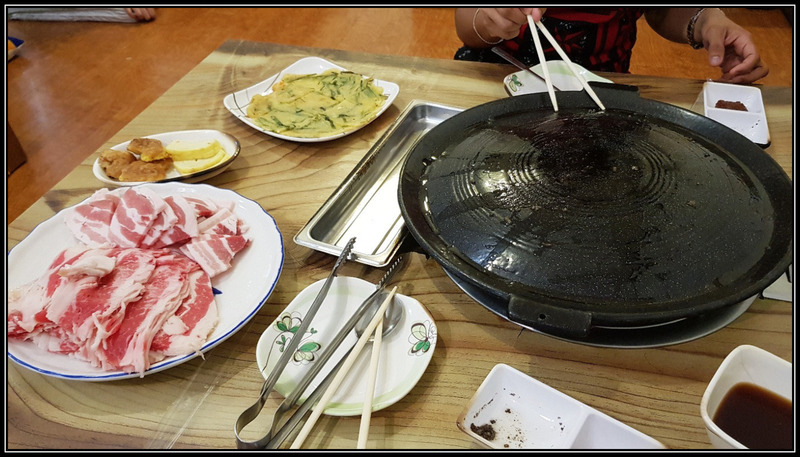 Nevertheless, for me this is one of the sulit kbbq in Manila. 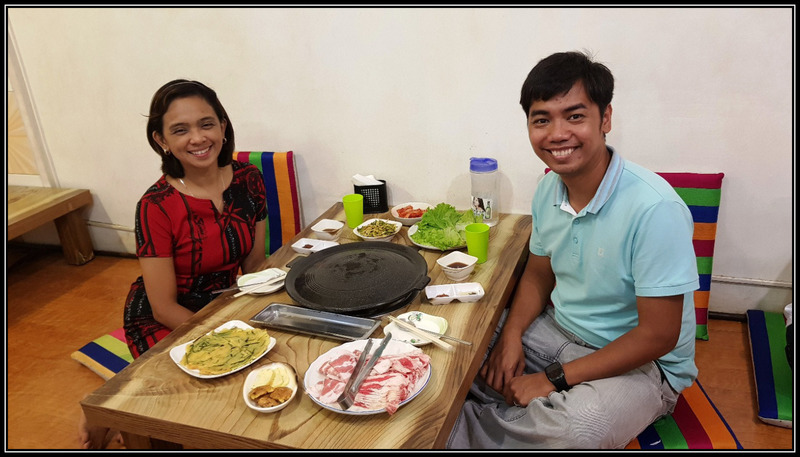 Whenever we look for best Korean BBQ in Aguirre Street, it always Sing Sing Restaurant on top of the list and since we failed to try this resto during my auntie’s birthday, the husband decided to try it a week after we dined at J-Rams. 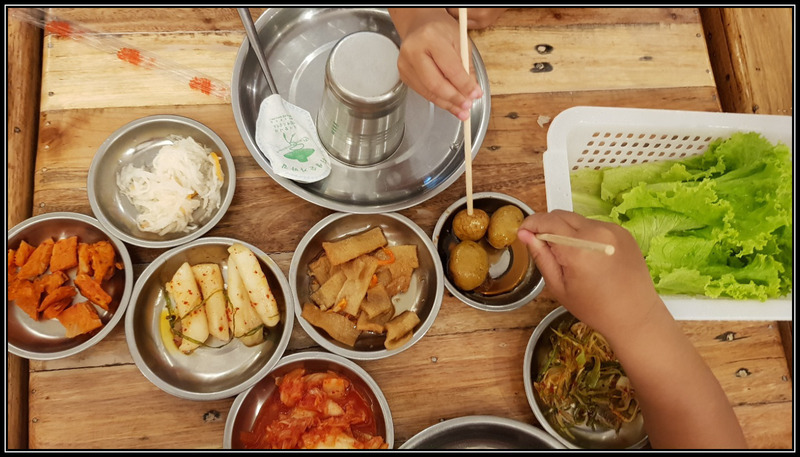 Ganon kami ka addict sa Korean food! Sing Sing Restaurant is an old-timer unlimited Korean barbeque joint along Aguirre. According to my research, this restaurant is best for those who want to enjoy Southern legend and coming in with an empty stomach. Sabi rin sa mga reviews, super sarap daw dito at sulit pa! So we really got curious about this place. Masubukan nga. We arrived at around 7pm and to our surprise the place is not over crowded (maybe because hindi pa sweldo that time. Haha) The restaurant looks small at first but actually extends to an extra room. There are tables with chairs and there is also one part of the restaurant where you can sit on the floor, this is where we ended up. Don’t expect too much about the place because there are some areas that needs an improvement like the floors which is a little bit oily and slippery, the common comfort room and the ventilation. Well, maybe because ang daming gumagamit ng CR kaya nasabi kong need ng complete renovation and also I wish they have enough exhaust fans so you are not going to smell like grilled pork/beef afterwards. 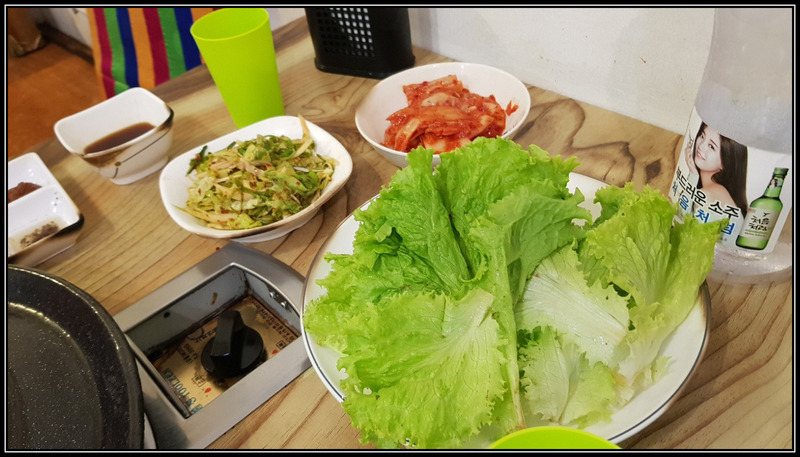 As soon as we settled to our seats, the staff started to serve the side dish, soup, sauces and lettuce. We ordered for Unlimited Samgyopsal + Short Plate Beef for Php 380/each. (Remember this, your table is supposed to get the same type of unlimited meat, so kung 4 kayo dapat pare-pareho kayo ng order) They also have cheaper deals (you can choose on their menu) and for beef diners, they offer three kinds unlimited for Php 599/each. The plate was stacked with meat; they are too generous on the servings as they give you huge pile of meat. All meats are unseasoned and not marinated, the cuts are very thin so it’s easy for us to cook it. 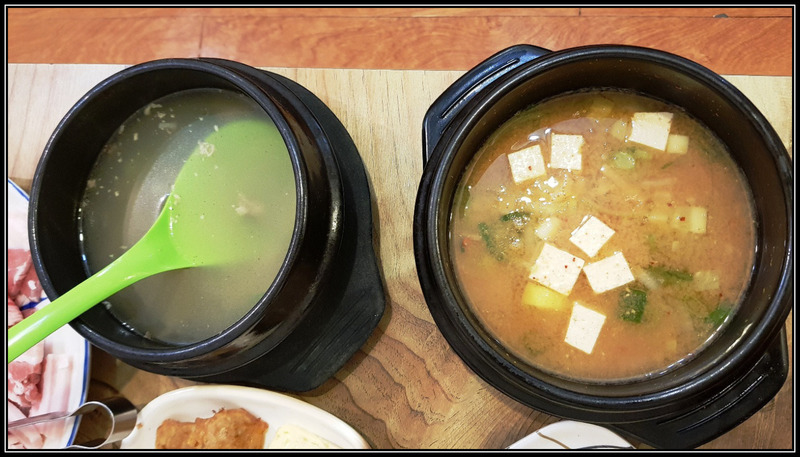 Lettuce, soup and side dishes are all unlimited but ordering/refilling of meats are limited to two orders at a time. The sauces are so-so, but the lettuce was nice and fresh. They are too generous in serving lettuce kaya sulit na sulit sa amin yun bayad. The pork itself was alright but too many fats as in halos puro taba yung napupunta sa amin kaya we ended up eating 4 plates piled with beef. Haha. There’s one incident that makes us so disappointed, it happened to the family of four besides us (with 2 kids). Can you imagine having live lizard with lots of mosquito larvae inside the pitcher of water? And yet halos makalahati na nila yung water bago napansin ng tatay yun. As in kadiri! Kinilabutan talaga kami and got worried for the kids kasi nakainom sila ng tubig na super dumi. I know this is just isolated case but it’s so disgusting! Kaya tiniis nalang namin ni Ian and sa bahay nalang kami uminom. I don’t know what happened after they talked with the owner, pero ang bait pa nung mag asawa as they are very calm while having conversation with them. Kung ako siguro yun baka mag escandalo ako dun. Haha. Overall, I can still recommend this restaurant because you can get a good return from less than Php 400/each you paid for unli meat. But I suggest you just ordered soda instead of asking for service water. Mahirap na. But if you are going to ask me where the best Korean Restaurant in town is, I will really recommend Bornga in Makati. 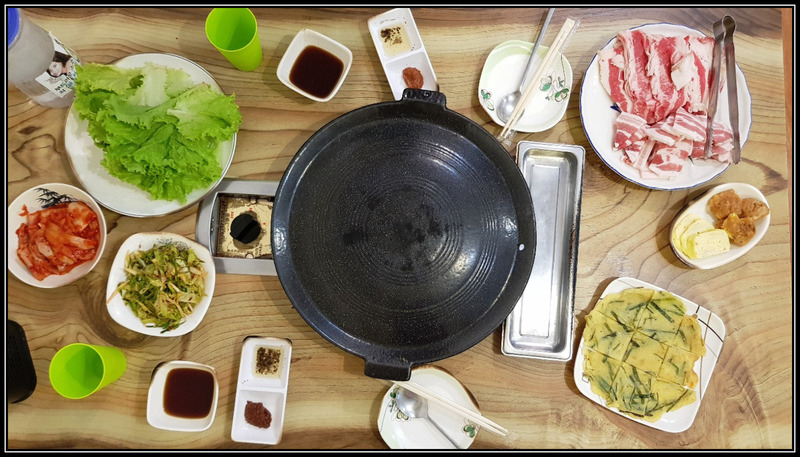 I think I should try the famous Samgyupsalamat kasi based on my research super sulit and sarap dito. Well, let’s see.